Shalom and Chodesh Tov for Adar! 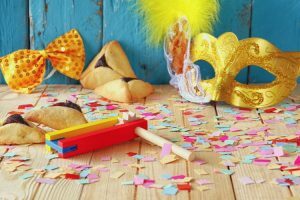 This month we celebrate the most happy and fun of all the festivals – Purim! (which starts on Wednesday night February 28th). But you don’t have to wait until Purim for the fun and games to begin! A Jewish teaching states “When [the Jewish month of] Adar starts, happiness increases”. So start thinking about happiness right now for you and your colleagues! “Simcha” is the Hebrew word for joy or happiness, the Jewish idea of finding pleasure in life. The traditional Jewish approach encourages us to balance between striving to make the world a better place, and a sense of contentment with what life provides. You may remember that last year we talked about happiness, and we focused on WHY happiness is important as a goal of our work. This time around we are focusing on HOW to find joy in life and the ways it can inform and impact our personal and professional lives. Working in the non-profit world, as a Jewish professional, is extremely rewarding. 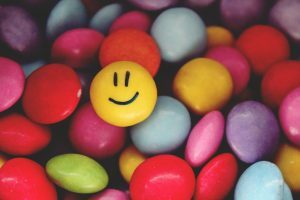 Yet at times, amongst all the planning, last minute changes, long days, high emotions and constant demands it may be hard to keep our spirits up – to have simcha (happiness) every day in the work that we do. So what can we do to keep the simcha alive for ourselves? What can we do to increase the simcha of those around us? Let’s focus on some suggestions by a long time Jewish professional and psychologist, Dr David Pelcowitz from Yeshiva University to help answer those questions. View the following EliTalk, then read our summary of the talk with practical advice. A full transcript of Dr Pelcowitz’s talk can be found here. Have Goals. As it says in Proverbs 19:18: “Where there is no vision, the people lose themselves.” Imagine being a fly on the wall at your funeral – how would you want to be remembered by your family, community, and colleagues? However you want to be remembered, hold onto those ideas, as they will become your goals that you need to work towards. Live in the Moment. As well as having long term goals, it is important to reflect on, and savor the moment. Among all the texts, tasks, social networking and e-mails, it is important to take time to just be present and mindful of what you have. Have Gratitude. Positive psychology teaches that appreciating what we have in life leads to greater well being and happiness. In the words of the Sages of the Mishnah period, “Who is wealthy? One who is happy with what he has” (Ethics of the Sages, 4:1). Adar is a great time to think about the simcha in your life, in the life of your colleagues, and what you can do to increase it. How can you infuse your workplace with more simcha? For more information about the Jewish concept of simcha Hillel International has a great educators curriculum filled with resources and ideas.